Two innings, 2x Porcello dealing with a runner on third and no outs. Mookie Betts, who is good at the baseball, just had an uncharacteristic miss on Gurriel's liner to right. Ball skids under him for a triple. Game started at 1:09. Rain started at 1:38. That was only the second SB of the series for the Sox. They had hoped to exploit Houston’s catchers more than they have thus far. Mookie Betts, who is good at the baseball, has been successful on each of his last 10 SB attempts. Few try to steal on Morton. Opponents were 4-for-5 against him this year. The three hits in this game have been sizzlers. Ball is flying at Fenway. 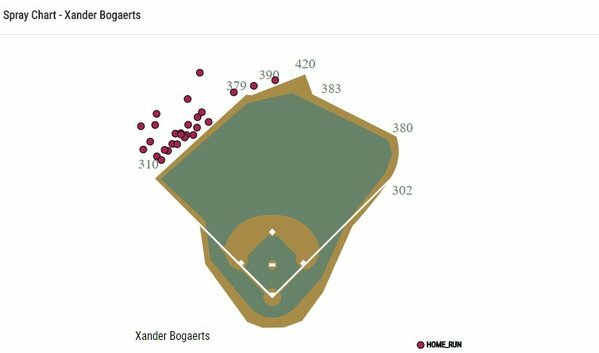 All 27 of Bogaerts' career homers at Fenway had indeed been to LF or CF. He had two to right-center on the road (at NY, at CLE). For what I believe to be the first time in his career, Bogaerts homers into the Red Sox bullpen at Fenway. 1-1. Xander Bogaerts is no longer hitless in the series. And it’s 1-1. Given his lack of command (25 pitches, 11 strikes), surprised Porcello escaped that inning down only 1-0. Possibly the most emotional I've ever seen Porcello, who howls after punching out Bregman on an elevated 95 mph heater. #RedSox starters in the first inning of this series: 8 runs on 8 hits, 5 of them for extra bases. Does not speak well to their preparation. Porcello ends a run of 8 straight balls with a called strike on a fastball to Bregman, then gets a foul tip. Crowd rises on 1-2 w/2 outs. Porcello was 7th among qualifying starters in strike % (67.2 percent). Today: 21 pitches, 8 strikes (38%) in the first. Crowd groans as Porcello walks Altuve, but with bases empty and two outs, he was pretty clearly working around him. 29 first-inning runs allowed by the Red Sox in their last 23 games. Bogaerts with a very strong thrown on the 4-6-3 DP. Really reached back to double up Altuve. Porcello goes from 1-2 count to walking Reddick. On the one hand, he didn't miss over the middle. On the other, now he gets Altuve/Correa. Porcello comes out with a first-pitch 94 mph fastball. He's working entirely out of the stretch - interesting. The Astros are so good against fastballs up and down in the zone as well as curveballs. Gotta spread plate w/cutters/sliders. Porcello threw 12 pitches, 9 fastballs in his inning in G1. I'd be extremely surprised to see that heavy a fastball mix today. Hall of Famer Jim Rice threw out the first pitch at Fenway. He bounced it, which will delight Luis Tiant. Friendly reminder that all postseason games must go nine innings. No five and fly if it rains today. #RedSox bullpen update: Sale is available … Reed and Kimbrel could combine for 9 outs. 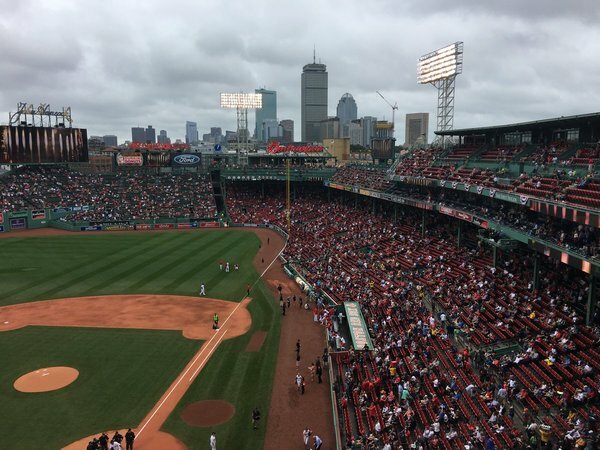 Pregame notes: The Sox forced Game 4 with a 10-3 victory on Sunday. 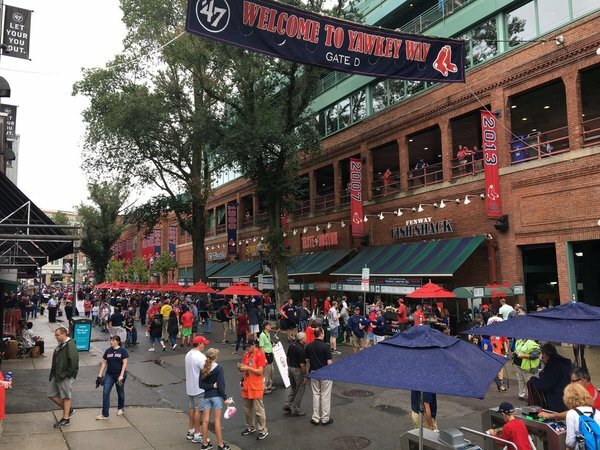 They are 27-14 in playoff games at Fenway Park since 1999. …Rick Porcello is 0-3 with a 5.40 ERA in 10 career playoff games. He has a 5.82 ERA in three starts. Porcello faced Houston for an inning of relief in Game 1 and retired all three batters he faced. … Charlie Morton, the pride of Joel Barlow High in Redding, Conn., is making his second career playoff start. He faced the Cardinals in 2013 and allowed two runs over 5.2 innings. Morton faced the Sox at Fenway on Sept. 29 and allowed two runs over 5.1 innings. … The Astros have outscored the Sox 19-14 in the series. 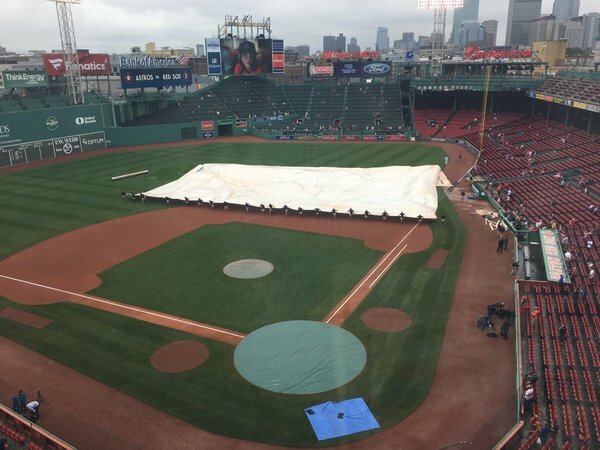 Farrell said no thought to starting Sale given possibility of bad weather, given 3-3.5 hour anticipated window of playable weather. Chris Sale is available out of the bullpen today. 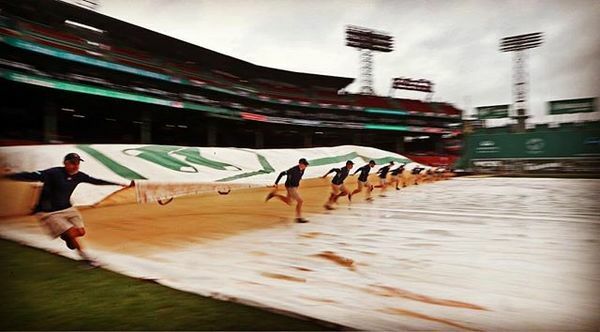 MLB controls these games and their call is to start on time at Fenway.